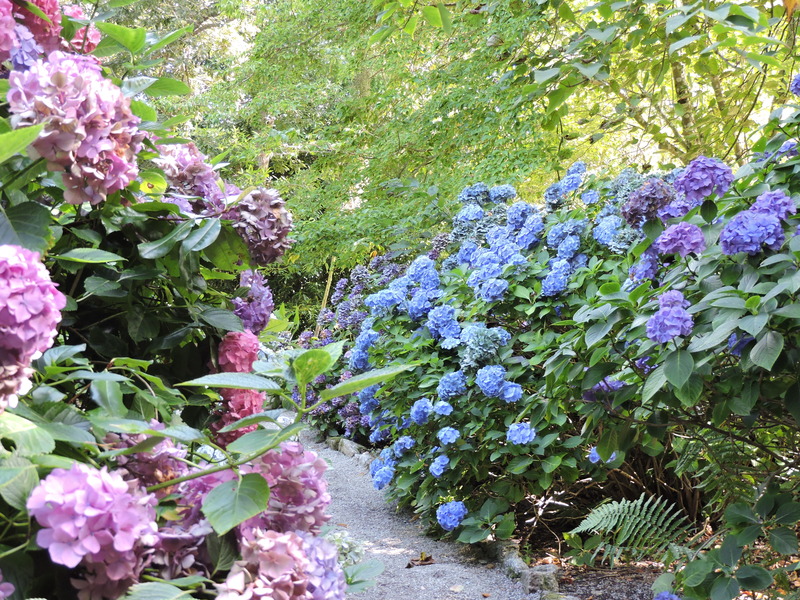 Mr RR and I took a trip to Trelissick for a look at the gardens, and found the hydrangeas, which are not really my favourite plants, looking lovely, especially the amazing Hydrangea peniculata ‘Burgundy Lace’ which is blooming in the round border outside of the house. 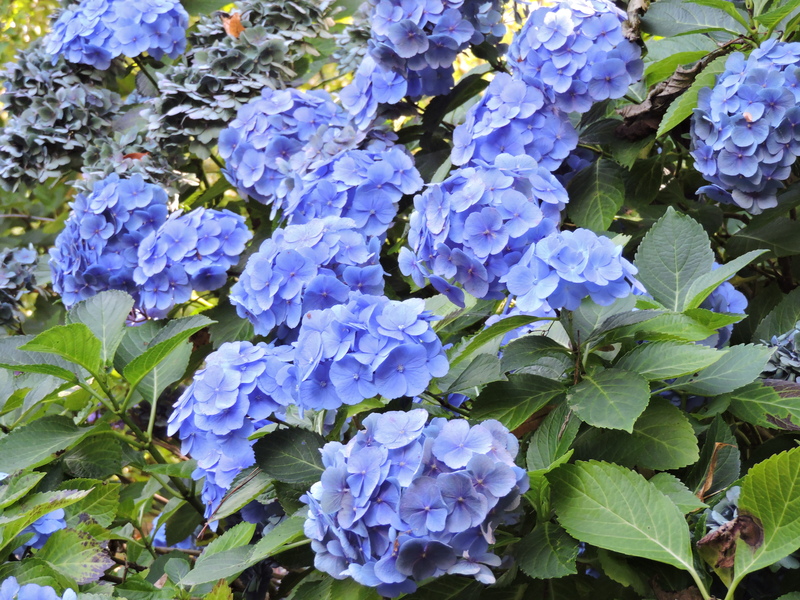 If I was going to buy a hydrangea, this would definitely be the one! Here’s a quick look around the gardens for you. This round building, now holiday accommodation, had four floors and fifty steps inside, forming the narrow staircase past each of the circular rooms. The Water Tower was built by Thomas Daniell in the 1820’s to supply the house and gardens which sit on an elevated site and lacked adequate water pressure. Thomas Daniell was the grandson of the tin and copper mine owner who was responsible for founding the great Truro Daniell merchant dynasty. 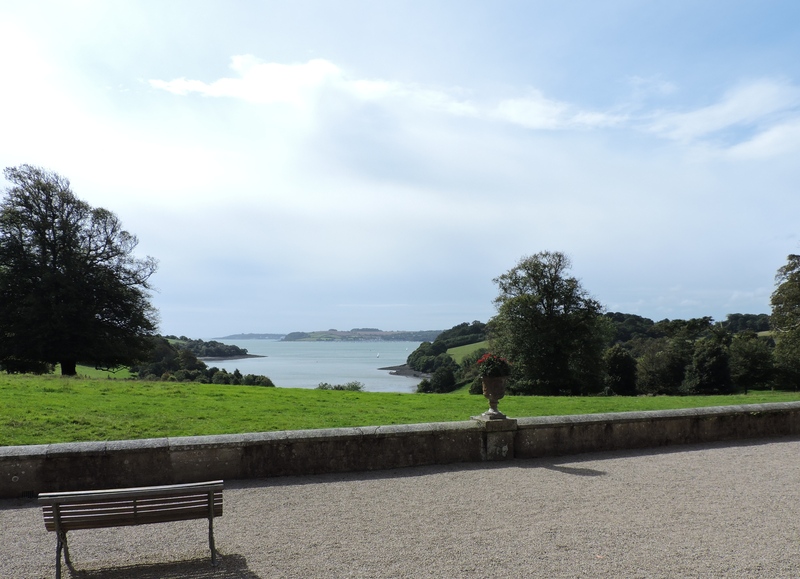 On the death of his father in 1823, the Trelissick estate passed to Thomas who, by 1825, had commissioned an architect to redesign the house and gardens. However, his extravagant lifestyle and profligate expenditure left him ruined and in 1835 he was declared bankrupt with debts of £40,000. This was a traumatic event for someone of Thomas’s upbringing and standing in society and he fled to France, probably to avoid the debtor’s prison. We pass through the entrance doors and go into the garden walking past the enormous wisteria which covers the walled garden (not open for visitors). 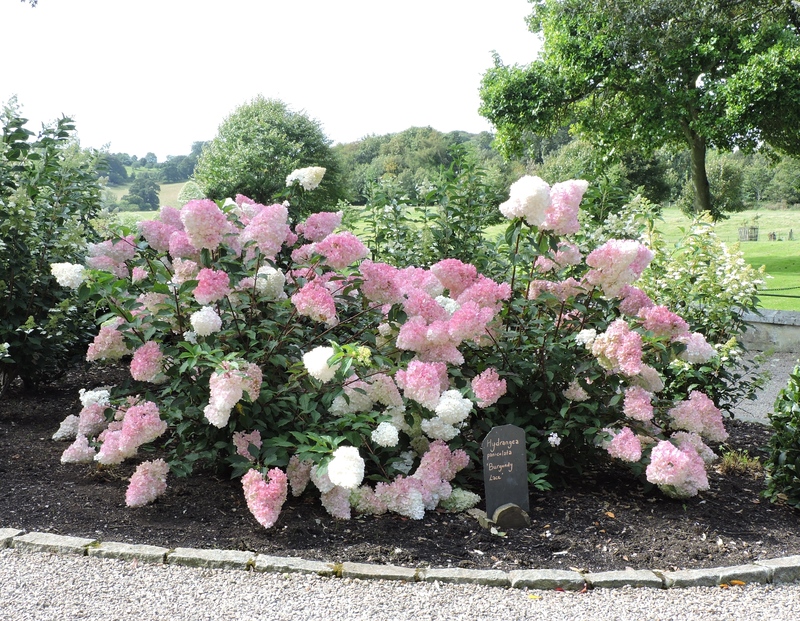 This white hydrangea is the first one we see, I do like this shape of flower head more than the traditional large, round and blousy ones. 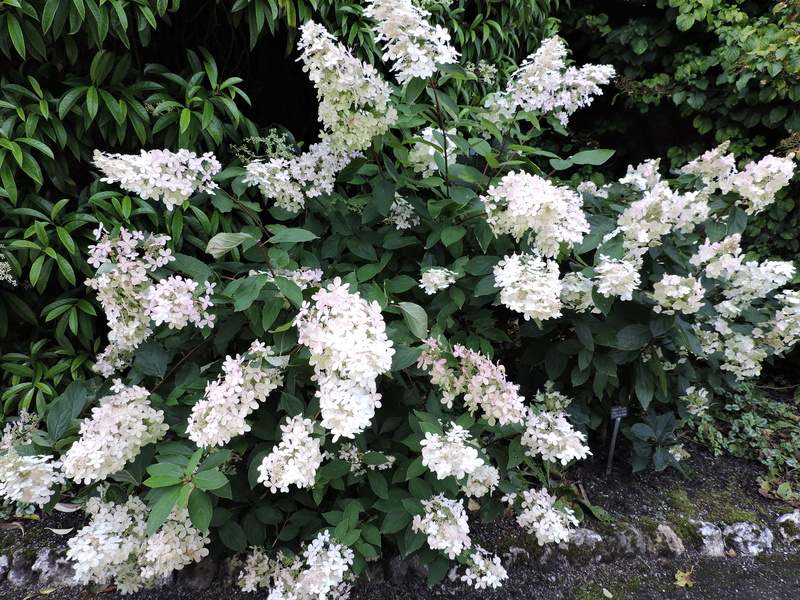 Enough about hydrangeas for now, although there’s isn’t much else in flower at the moment. We walk down to the viewpoint overlooking the River Fal but as the trees are still in leaf, the views are quite restricted. Once the leaves have fallen, the views from here are stunning. But just look at this lichen! Lots of things influence whether lichen will grow on a tree including the bark texture and acidity. 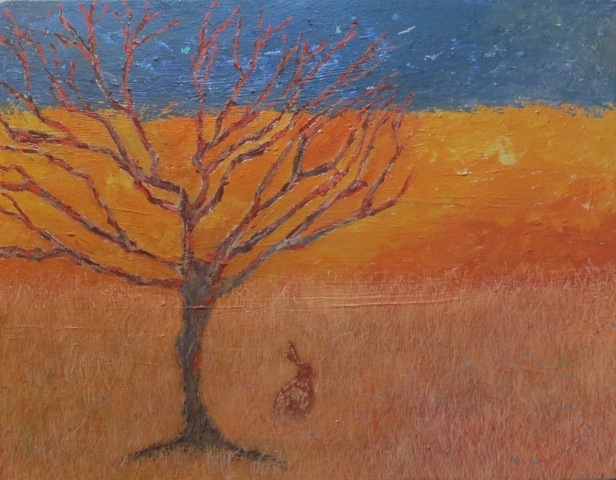 Also throughout the life of a tree, changes in the bark and its ability to store water, pH, nutrient status and light levels all have an impact on the microhabitat of the lichens colonising it. 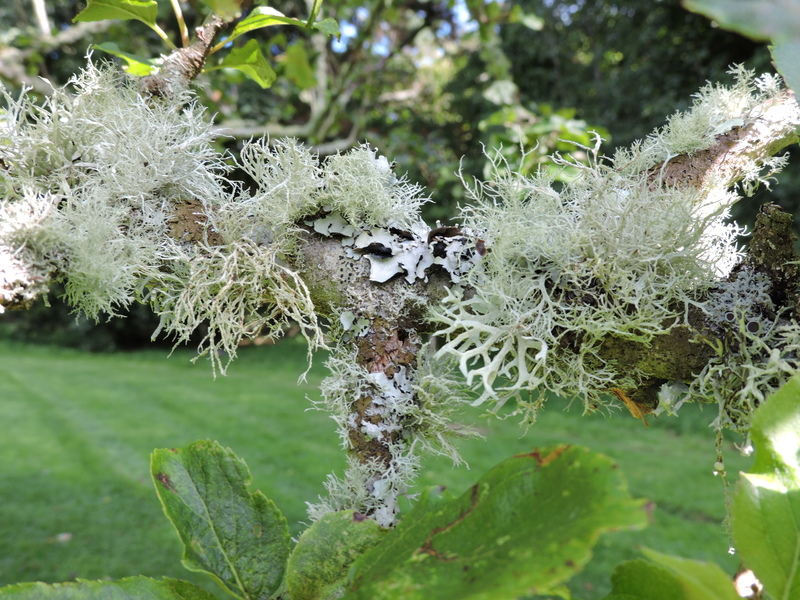 My Natural History Museum book ‘Lichens’ tells me that ancient trees can support over 30 different lichen and that, for instance, the oceanic woodlands in the west of Scotland may contain more than 400 different kinds! I shall be investigating next year and report back! 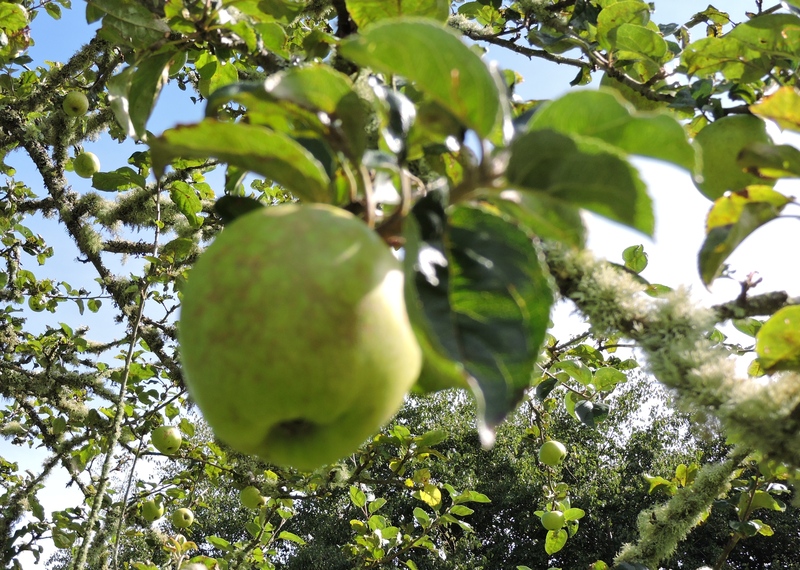 I’ve got a feeling this one is Snell’s Glass Apple which is a local variety. 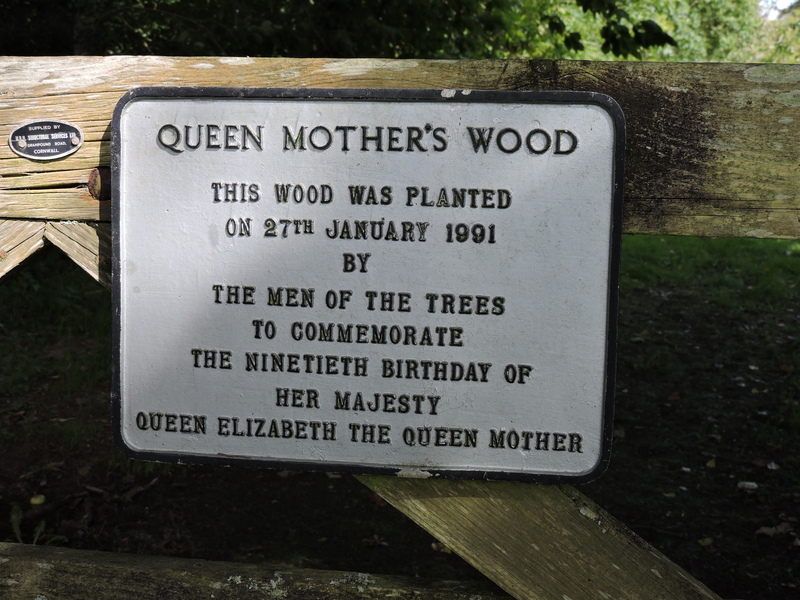 Just off of the orchard behind a locked gate is ‘Queen Mother’s Wood’, planted by ‘The Men of the Trees’. 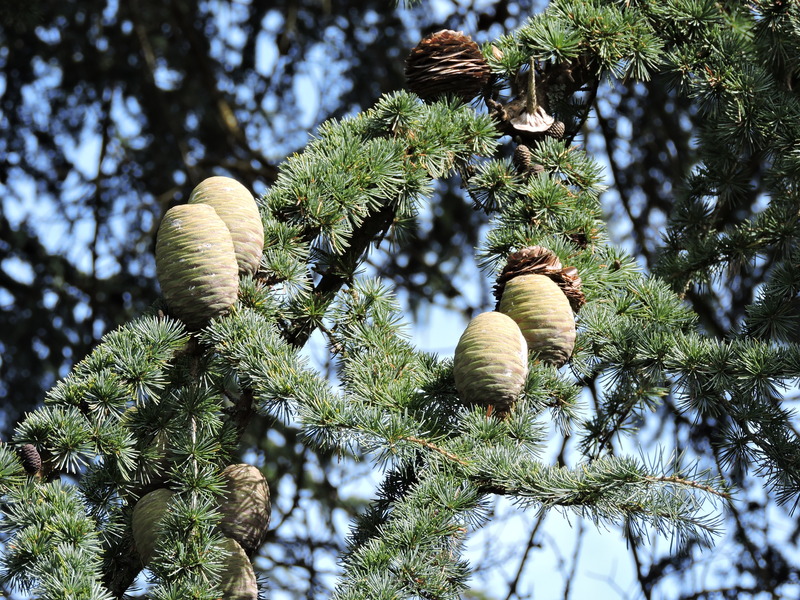 We make our way back through the trees, passing a magnificent cedar with these interesting cones. My useful Reader’s Digest Field Guide to Trees and Shrubs confirms that this is an Atlas Cedar (Cedrus atlantica) often thought of as the ‘blue cedar’. 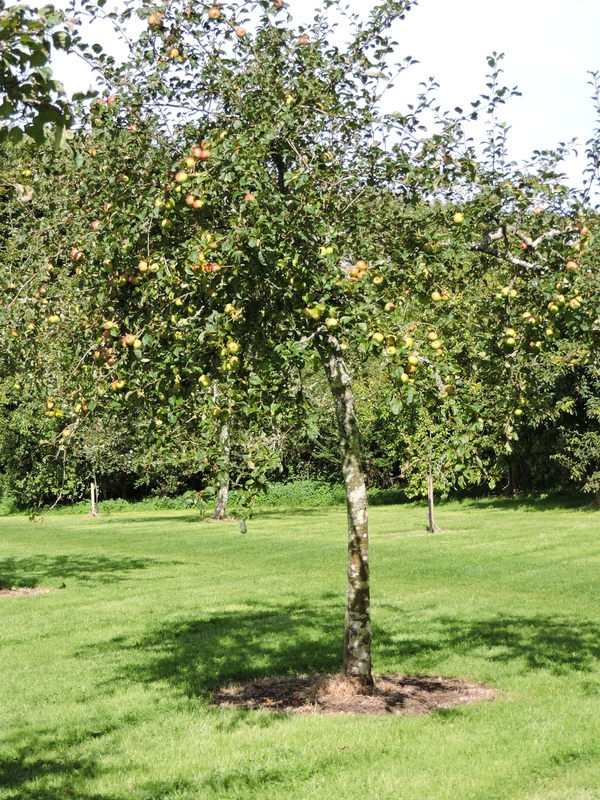 This lovely tree was introduced to Britain in 1841 and can reach a height of 36 metres (120 feet) – so don’t plant one in your garden I should think! As you can see the cone is shaped like a wasps nest with an indentation in the top. It takes two whole years to ripen and then it breaks up leaving a central spike – which you can see at the top of the picture above. 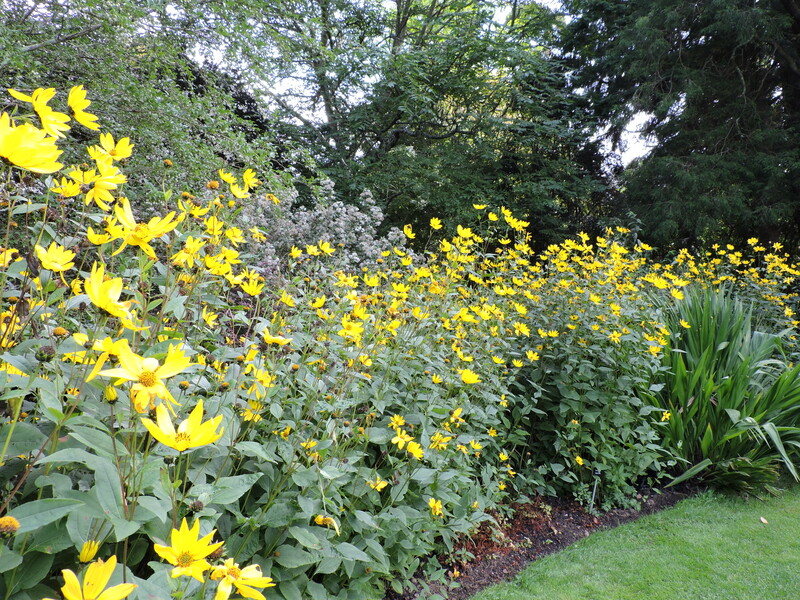 Having walked up the hill and around the lawns we come back down to the more formal garden where these gorgeous yellow flowers are showing off – not sure what they are but they make a lovely display. and then we make our way across to have a look at progress on the house which is undergoing renovation and restoration by The National Trust. 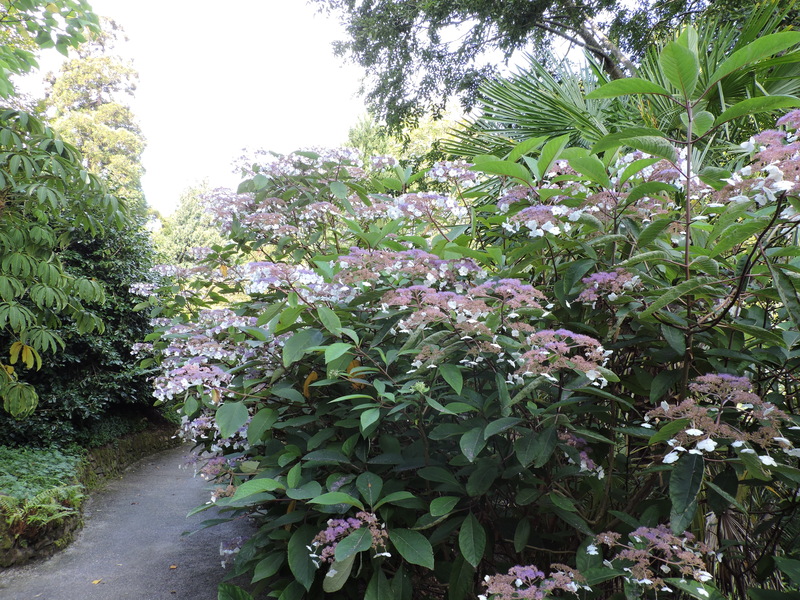 That’s where we see the splendid Hydrangea peniculata ‘Burgundy Lace’……..so pretty! 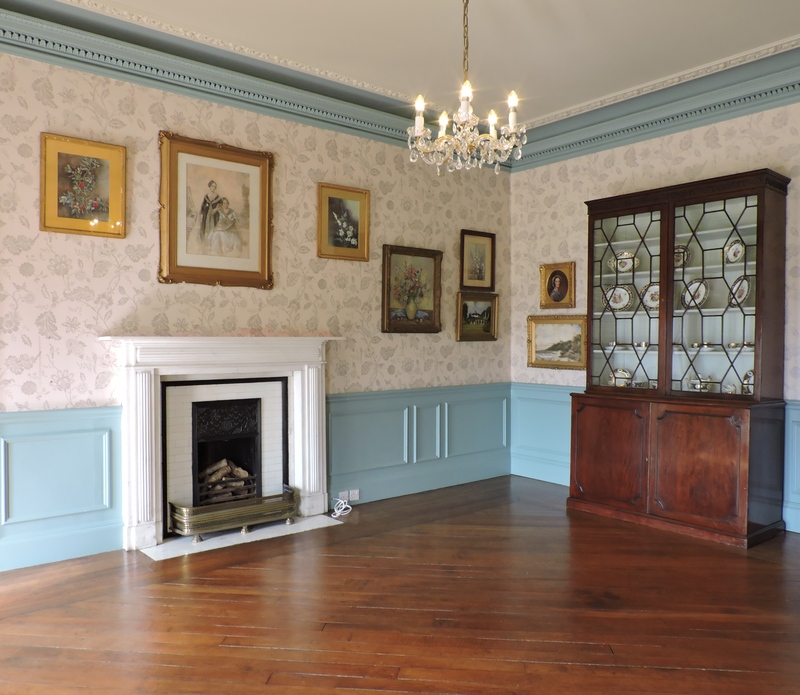 A little notice tells us that ‘plant houses’ in Victorian times fell into 3 types. 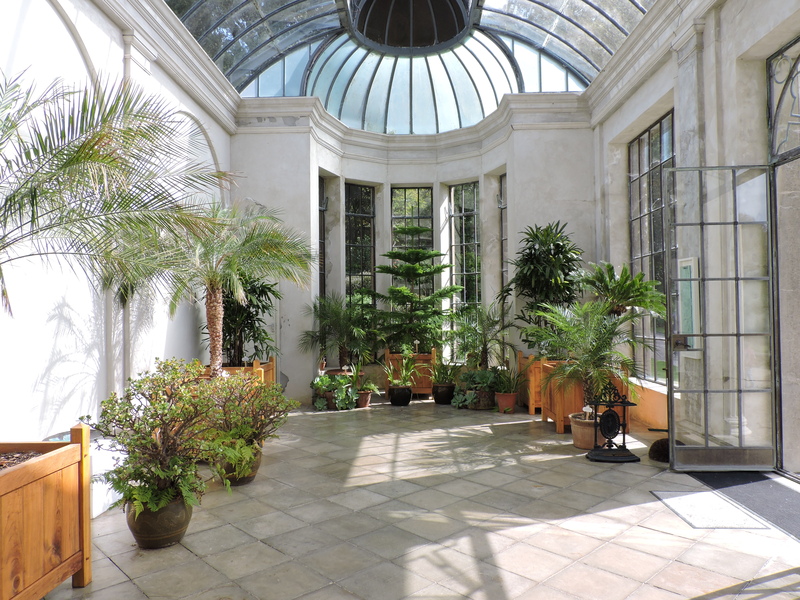 There was the heated ‘Stove House’ where exotic fruits were grown; ‘Orangeries’ where citrus trees could be housed for the winter; and ‘Solariums’ which were used for enjoying the winter sunshine and were furnished with seating and oriental plants. We make our way back past the scented garden to the cafe for brunch before a quick visit to the Truro Arts and Wood Turning Exhibitions. 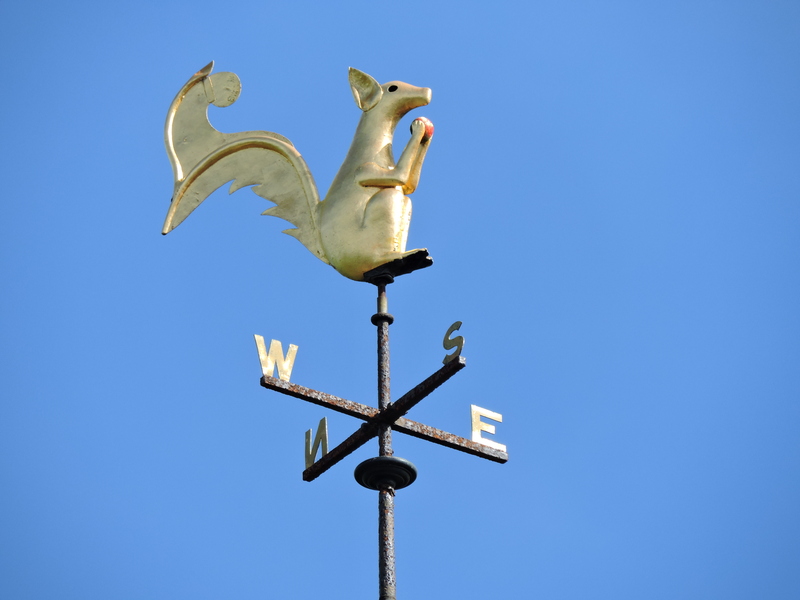 Next Article Perranuthnoe – one last time?